I've held out on commenting for a while but I just felt compelled to react to this entry in some way, because it feels like it not only earned it - it seemed to demand some kind of response. I wasn't too keen on your Scary Monsters entry in this format but this was just beautiful, you turned what could have been a remarkably dull entry into something remarkably empathetic. Here's hoping that we'll get to see you weave some more of this mysterious overarching narrative into your comprehensive history of pop music! Agree that this is a truly wonderful, moving, involving piece, whatever you think of her or of the institution. Magic realism, so to speak. 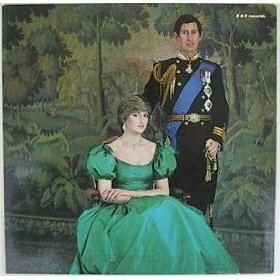 Of note: this was the first of two early 1980s number one albums released on the BBC's own label, but their only official number one single would not come until 1997 (unless there is something I've forgotten - I say "official" because some charts, earlier in 1981, had put "Chi Mai" at the top). This album, like so many 1980s TPL entries, is not unrelated to the shadow of Apartheid; Kiri Te Kanawa's involvement would undoubtedly have been used by the Muldoon government to detract attention from the South African rugby tour of New Zealand, an event as traumatic as the riots and hunger strikes you refer to (arguably even more so, since the country had seen itself, and been seen by others, as a haven from all that). There was something I'd forgotten, actually - Nick Berry's "Every Loser Wins", written about here in the 'Now 8' piece, was a BBC release.